– rehabs for alcoholics and addiction treatment centers. Teen Challenge of Texas is opening a transitional living facility in Brenham, TX on January 1, 2013. Our new 5 acre campus will target current TC graduates for the Re-Entry Program and target former graduates struggling with addiction again for our Restoration Program. Also known in the community as “Freedom Hill”, the facility features comfortable home-like surroundings with laundry facilities, meeting rooms, dining room, library, and kitchen, as well as separate lounges for men and women. The campus is also within walking distance of historic downtown Brenham, several parks, restaurants, grocery stores, and business areas. The campus will provide transitional housing, Christ-centered support groups, mentoring and supervision, balanced meals, and practical training in life skills. 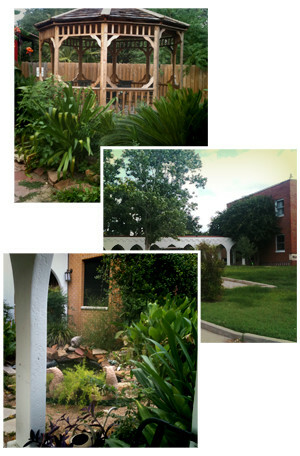 The Transitional and Restoration campus has over 50 beds, with separate residential housing for men and women. For up to one year, residents will find full-time work in the community, pay rent for their housing, attend a local church, and participate in daily chores and other activities. TC also hopes to offer employment counseling assistance, GED classes, health and wellness education, and transportation to and from work – but please inquire at the campus for further details and availability of services. Integrating a relationship with Christ into the process of transitioning back into a life of work and study is the logical step after being in a residential environment for 12 months. We believe this opportunity will significantly increase the chance of success for graduates of the TC program. TC in Brenham is committed to partnering with businesses, individuals, communities, and churches in order to keep costs low for and increase services to our residents. Your partnership in regard to finances, time, and prayer will help in this effort. We can also help you in your search for other best rehabs, rehabs near me, rehabs for alcoholics , or alcohol addiction treatment centers . Should you need help finding rehabs for alcoholics , Christian drug and alcohol rehabs, schools for troubled teens or boarding schools therapeutic, please let us know.